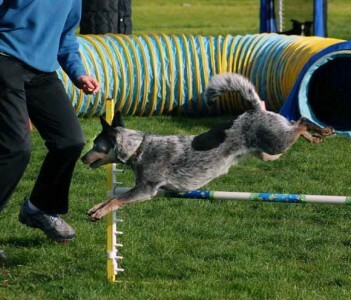 So often in agility we spend time training the obstacle performances, working on our handling, and trialing with our dogs. We work on the physical aspects of the sport, but what about the “other” factors involved that cause our dogs to become distracted: dogs running and/or barking nearby, interesting smells in the grass, people and children in close proximity, birds and critters that show up at the field *just* to tease your dog, food dropped on the field, dogs acting bored, lack of confidence, or those momentary lapses in focus that happen to all dogs and people at times. 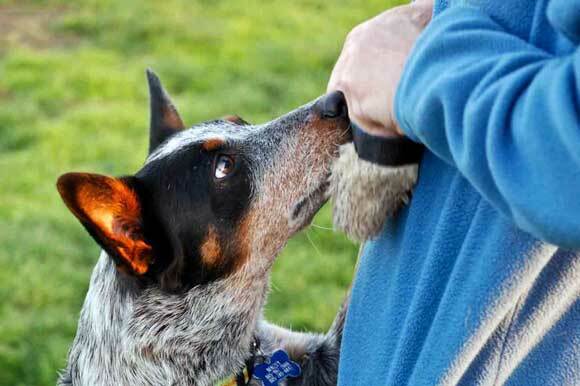 Focus for Agility will help you improve your skills in getting and maintaining your dog’s attention in a variety of situations. We will be using agility equipment and exercises to train and maintain attention in an active setting, and work on keeping your dog’s focus on you regardless of what is going on around it. 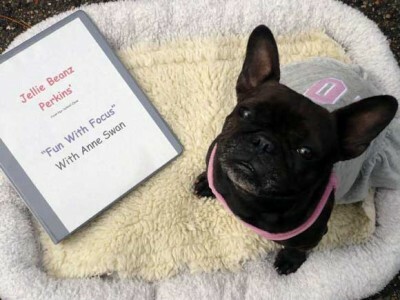 This is a reward and play based class, designed to help your dog see you as the access to fun, play and all sorts of good things in life. We will be using agility equipment but this is not a handling or training class: for example, if we use contact obstacles one day I won’t be hammering on your yellow zone performance—it is up to you to know what you expect from your dog and to maintain good criteria. We will also be working on games and drills to remind your dog how fantastic it is to be with you.